The Bet & Watch at Sunbets.co.uk Handicap (6.20) at Wolverhampton on Tuesday is an ordinary contest in which recent winning form is thin on the ground. Nevertheless, the only last-time-out winner in the field, Grey Destiny, has been raised a lenient-looking 4lb for winning over course and distance in November and appears to have every chance of following up. 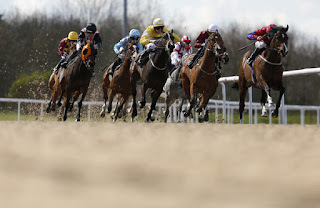 Anthony Brittain’s 7-year-old is hardly a prolific winner, but only narrowly failed over course and distance on his penultimate start before running on well to beat Kafoo by three-quarters of a length, with something in hand, on his return to the West Midlands track 11 days later. The Desideratum gelding has been given five weeks to recover from his exertions and, while he takes a slight rise in class, he is attempting little more than he has achieved in the past and has bright prospects.